Oh! Last week, last Saturday, no one was there because it was Saturday and no one competes anymore so they take it easier, but I was there and Yuzu was there. 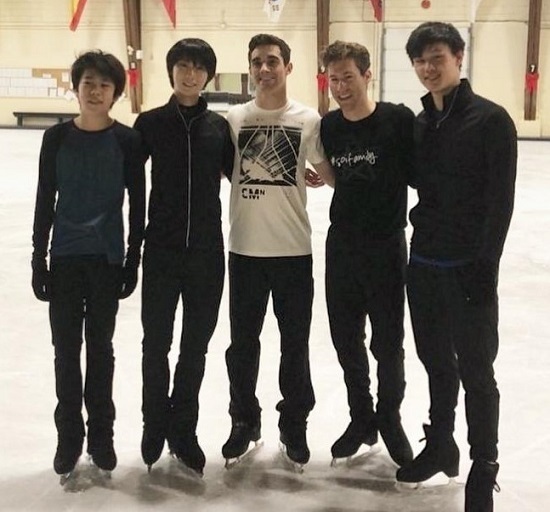 Tracy Wilson was there too and Yuzu was training. I asked Tracy how was Yuzu always able to compete really well under extreme pressure. After the session, Tracy came up to me and told me to ask Yuzu that question and then he started giving me advice. He started opening up so much and that was the most we’ve talked to each other. That time I was really able to talk to him and I guess we bonded a little more. Skater: Yuzu. Watching him skate and train every day gave me more respect [for him].